Brian D. Sites, Assistant Dean of Bar Preparation, Academic Success, and Bar Preparation and Assistant Professor of Law. 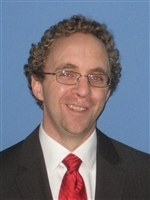 Assistant Professor Brian Sites joined the faculty of the Barry University School of Law in Fall 2013. His primary research areas are legal research and writing, copyright, and law and technology. His published works and presentations address fair use, digital media, the intersection of evolving technology and the law, criminal law topics, religious freedom, and experiential learning. Prior to joining the faculty at Barry Law, Professor Sites served as a staff attorney for the United States Court of Appeals for the Sixth Circuit. While there, he worked primarily on cases that addressed civil rights, habeas corpus matters, criminal sentencing, immigration, and prisoner and pro se appeals. Before his work at the Sixth Circuit, Professor Sites clerked for Justices Wells and Perry at the Florida Supreme Court. His work at the Court involved several death penalty and other high-profile cases, along with various criminal and civil issues. He also worked in the Court’s publication unit, served on a pandemic task force, and taught in the Court’s public education program. Professor Sites has also previously taught legal research and writing, cyber law, and other topics to undergraduate students as an adjunct faculty member. Professor Sites is an active volunteer. He has been a frequent contributor to several ABA committees, has coached multiple moot court teams, and regularly assists a variety of non-profit groups. He is a member of the Florida Bar and is admitted to practice before the United States Court of Appeals for the Sixth Circuit. Professor Sites' publications can be found on the Social Science Research Network.